Clash of the Champions – Scotts Blog of Doom! Before we get to these new ones, a quick update: I’ve lowered the prices on all of the books. I was looking at them the other day and the prices were just too high. I probably wouldn’t pay that much for them and I have no idea why anyone else should be expected to either. Each one has been lowered by at least a dollar and some far more than that. The British prices have been lowered as well. History of Wrestlemania, the Royal Rumble, Survivor Series and Summerslam. If you’re a wrestling fan, odds are you’re familiar with these two series. They’re some of the most important wrestling shows in history and for vastly different reasons. 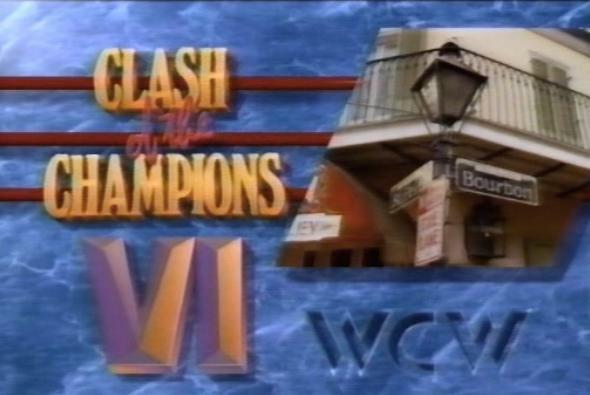 While Saturday Night’s Main Event offered a chance for the masses to see the WWF on a major TV network, Clash of the Champions went the other way and offered pay per view caliber matches on TBS. In these books I’ve gone back and looked at every episode of both series to see why each one worked (and didn’t work) in their own ways. 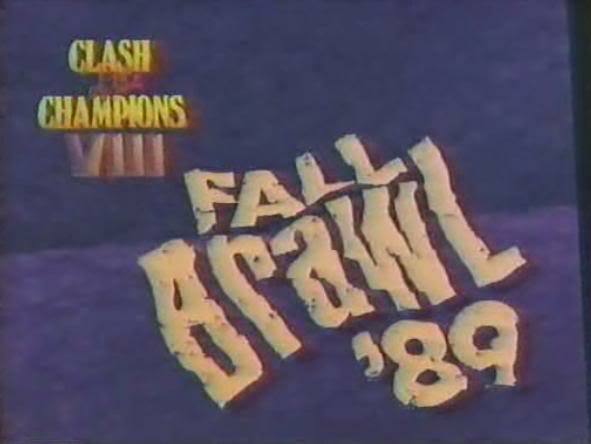 There were thirty five Clash of the Champions specials and thirty six Saturday Night’s Main Events, though I’ve thrown in the five Main Event specials as a bonus. Each show is broken down match by match and segment by segment with context, play by play and analysis. Both are ready to go from Amazon in full paperback form. They’re both priced at $9.99 each and are available worldwide (only in English) from any country’s Amazon page. Here are the links for the US and UK versions. Or just search “KB Saturday Night” or “KB Clash” on Amazon. I hope you like these and please shoot me any questions you may have. Your hosts are Tony Schiavone, Dusty Rhodes & Bobby Heenan. 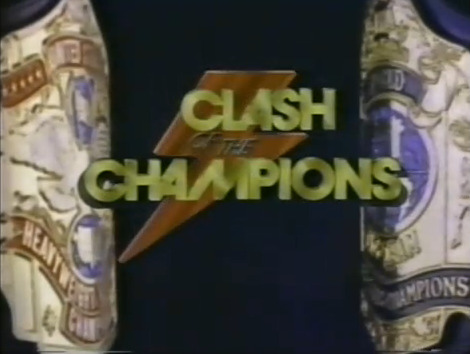 This is the second-to-last Clash, and clearly by this point these shows were just extra editions of Nitro and little effort was put into promoting or booking them. Plus this was leading into nWo Souled Out, so…you know…not the best PPV to be leading towards. – Live from Macon, GA, Nov. 18 / 92. – Your hosts are JR & Jesse. New York Knockout? Are we referring to these bunch of termagants? Seriously, Flair and Funk battle in an “I Quit” match to settle their feud. Also, the Midnight Express square off against the Dynamic Dudes. In a rematch, Pillman seeks to dethrone Luger for the US title. If that’s not enough, the Steiners face the Skyscrapers. What are you waiting for? Read on! Put Flair, Funk, Sting, Muta, and Gary Hart in the main event, and let’s see if it’s a masterpiece or a cafeteria special. Read on! We begin with Steamboat’s historical defeat of Flair to become World Champion at Chi-Town Rumble. Can the “Nature Boy” reclaim the biggest prize in the game today? While the initial Clash stands on its own as a spectacular, this Clash serves as a promotional vehicle for the upcoming Great American Bash tour. Get out your beach umbrella, fruity cocktail, and sunscreen as we head to Miami, Florida for some NWA wrestling action! WCW Wednesday: Part XVI – Clash of the Promotions Edition! Back on 3/27/88, as a measure of revenge for ruining the buyrate for Bunkhouse Stampede, Jim Crockett Promotions held Clash of the Champions at the Greensboro Coliseum live on TBS opposite WrestleMania IV on PPV. Read moreWCW Wednesday: Part XVI – Clash of the Promotions Edition!